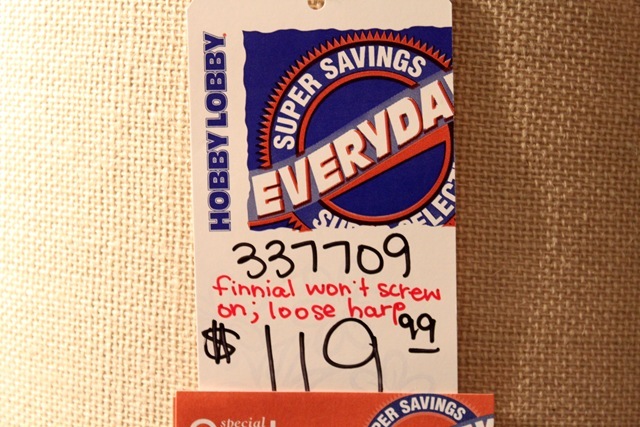 I went shopping at Hobby Lobby the other day and made a beeline for the clearance section. I spied something with my little eye. Hmmm…that shouldn’t be clearanced out right now. (That’s me thinking to myself.) Then I noticed the writing on the tag. $120 for a lamp at Hobby Lobby? Huh? And then I saw this tag underneath it. I quickly looked around for the hidden camera. Someone must have been trying to catch my reaction for giggles. There was nothing, so I put it in my cart—still bewildered. Would they really mark it down that much for a finial? A $120 lamp. A $2.39 finial. For $26.39. Boo to the Yah. Awesome, I wish I could find deals like that. I love the lamp! Simply divine!!!!! 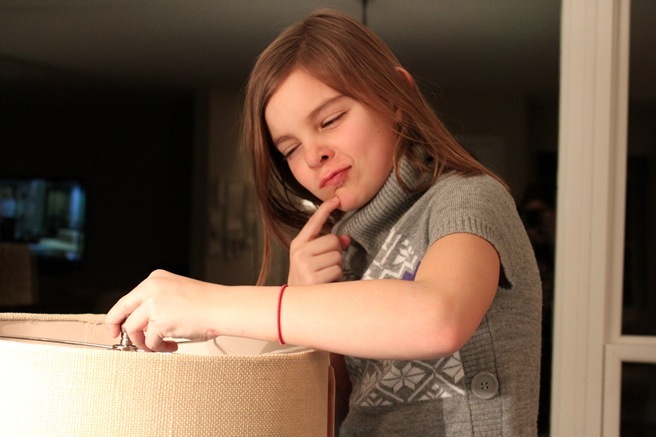 Adorable photos, and this lamp is probably “the bargain find” of 2012! Omgee, what a major major score! Great catch! Great buy, Chris! 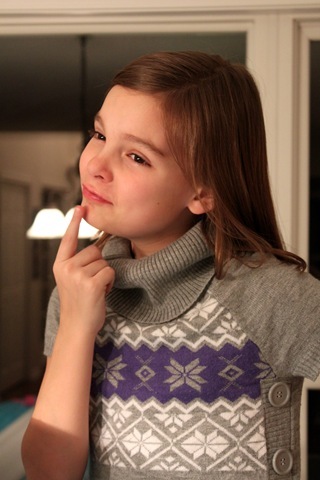 Your daughter is growing up so fast and she’s adorable. BEAUTIFUL!!!! It looks great by your horse!!! I laughed out loud with the horse post, by the way! It feels great to find a good deal! Score is right! What a beautiful lamp! Your daughter is just precious, too! SO rad! I love to catch a deal like that…it almost makes me feel guilty! 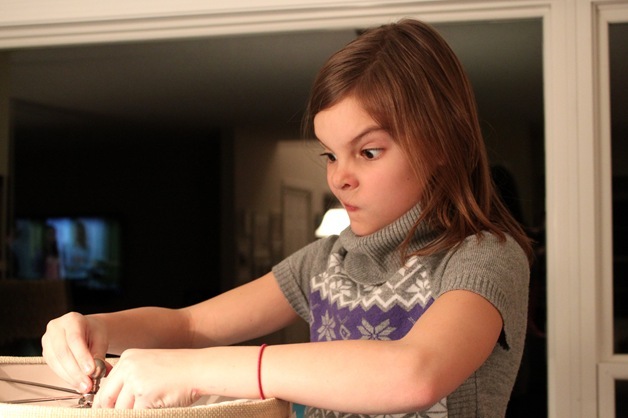 Pics of your daughter…too funny! 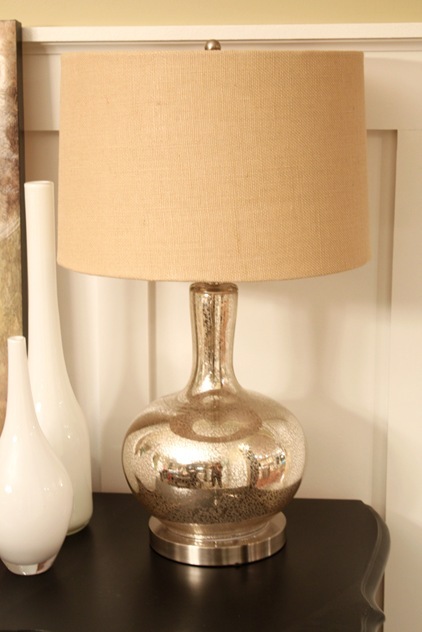 Hubby bought me a pair of those lamps for our bedroom for my birthday back in September…they were 1/2 off each ($100 for 2) which I still thought was a great price considering they look so much like the PB ones…… you really got a deal/steal. they should make shopping an olympic sport. you just brought home the gold, well silver, mercury actually…you rock. enjoy your pretty lamp and your little actress. Excellent score! It’s a fantastic lamp. I am so jealous – what a great f ind!! LOVE IT! Love the new lamp! What a terrific find! 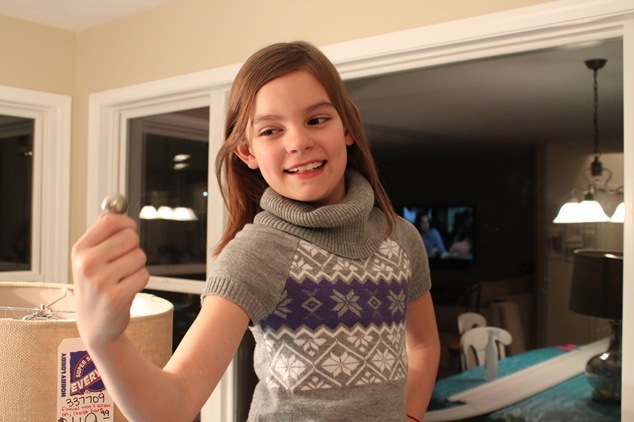 And your daughter belongs in front of the camera – what a doll! Thanks for sharing. Is jealousy a bad thing if I admit it freely? Well if it’s wrong then I don’t want to be right. Love your find!! What the what?! 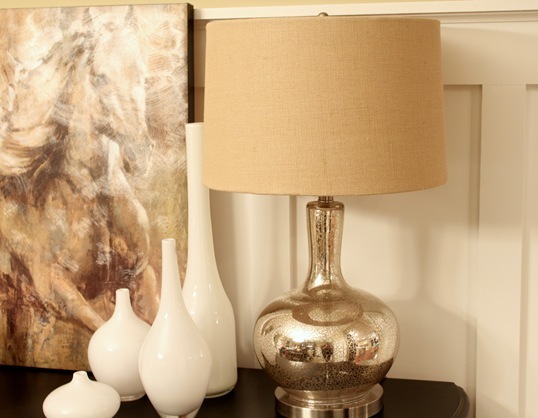 I adore that lamp (and all things mercury glass). What a find!! Oh H E double hockey sticks to the YEAH!!! TOE TAL SCORE! Great lamp and a great find. I love, love, love the pictures!!! I am so jealous of your great deal..just shows what a little ingenuity can do! LOVE it. So love you too. What a great find! 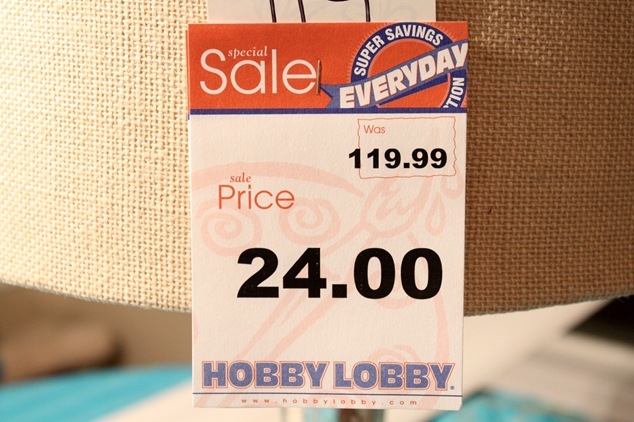 You were thinking–Hobby Lobby wasn’t! I’m behind on commenting–here I am.